Climbing the trails in the adventure parks is always a small self-victory. We help the visitors of the adventure parks to include overcoming the obstacles into the treasury of their personal achievements. The company SkyPark took care of the complete safety of their visitors under any circumstances to achieve their dreams. 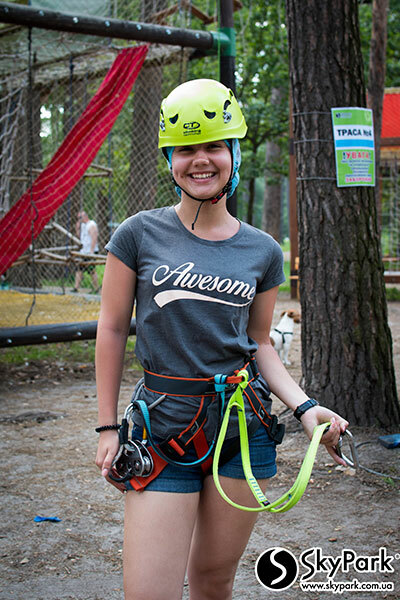 Safety at the adventure parks by SkyPark is guaranteed by the next: quality equipment, continuous belay system and detailed instructions on a special training trail. Thus, even six year old kids can pass the trails in the adventure parks by SkyPark at a height of five, ten meters or more without an assistance and a constant supervision by adults. The equipment in the adventure parks by SkyPark is always clean. We regularly sanitize the helmets with a special antiseptic solution. Additionally, we give a bouffant cap under the helmet to each visitor. Climbing along the adventure trail is easier without gloves, but if you have very sensitive skin – you can ask the instructor of the adventure park to give you gloves. To overcome the obstacles in the adventure parks by SkyPark the visitors receive high-quality equipment by leading world brands. 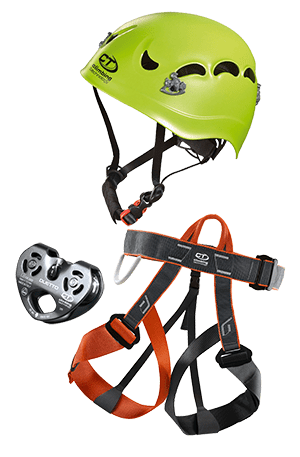 Harnesses, helmets, carbines and pulleys are made by the Italian manufacturer of equipment for mountaineering and sport climbing ‘Climbing Technology’. There are quickdraw slings and loop slings by Ukrainian brand ‘First Ascent’. The locking device from the company ‘Vento’ ensure a vertical insurance during climbing the stairs. 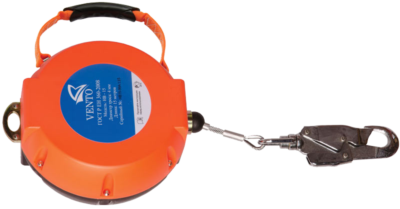 The TRUEBLUE Auto Belay from the American manufacturer ‘Head Rush Technologies’ provides the visitor’s safety on the climbing wall. 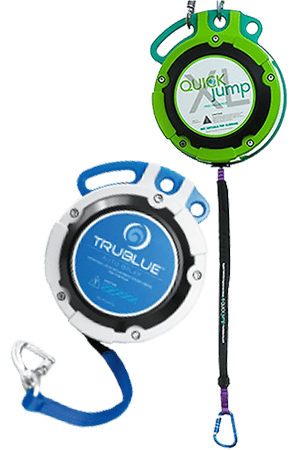 Also in our adventure parks we use the QUICKjump device for free fall by the same company. We use it to create unforgettable attraction. All the equipment used by the company SkyPark is certified. It withstands considerably greater loads than it is possible during use of any adventure park. In the adventure parks by SkyPark, a line of continuous belay (the steel cable) is stretched along all the trails. We wear a non-removable safety ring on it at the very start. Thanks to this belay system the visitor is constantly insured and he can’t be able to get off the trail during climbing it. A safety ring is removed only at the finish of the adventure trail. In addition to the main non-removable safety ring there is a carabiner. 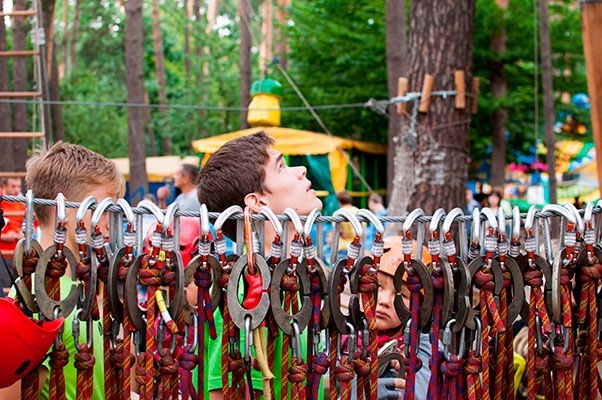 It helps the visitors of the adventure parks by SkyPark to learn first-hand how a real Munter hitch works. 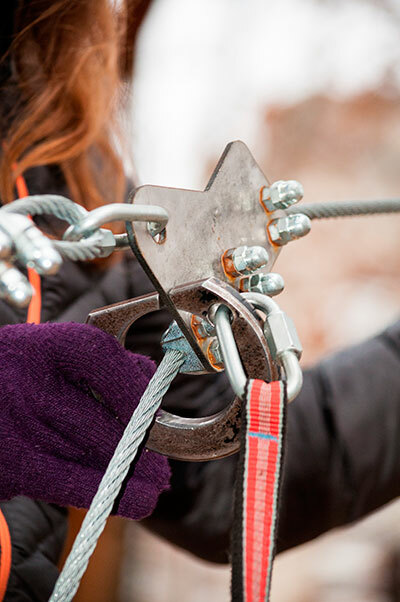 On a specially designed training trail you will be trained how alternately to pass the belay through tether anchorages. Most importantly in visiting the adventure parks is to have fun, to get good impressions and to test your strength. Attending the adventure parks by SkyPark, you needn’t to worry if you suddenly do not have strength to conquer the adventure trail completely and there’s no turning back. Visitors of the adventure parks by SkyPark can withdraw from the adventure trail at any time. Of course, it is impossible to cope with this task independently, so you will need to ask the instructor to pull you down. 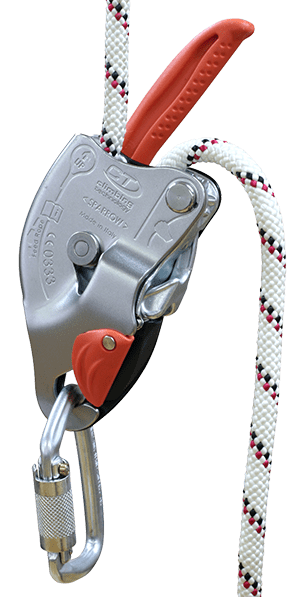 An experienced instructor of the adventure park by SkyPark will safely disconnect removable belay and will lower you down a rope using a special descender Sparrow by the Italian company ‘Climbing Technology’. The descent from the adventure trail in the adventure parks by SkyPark is free!